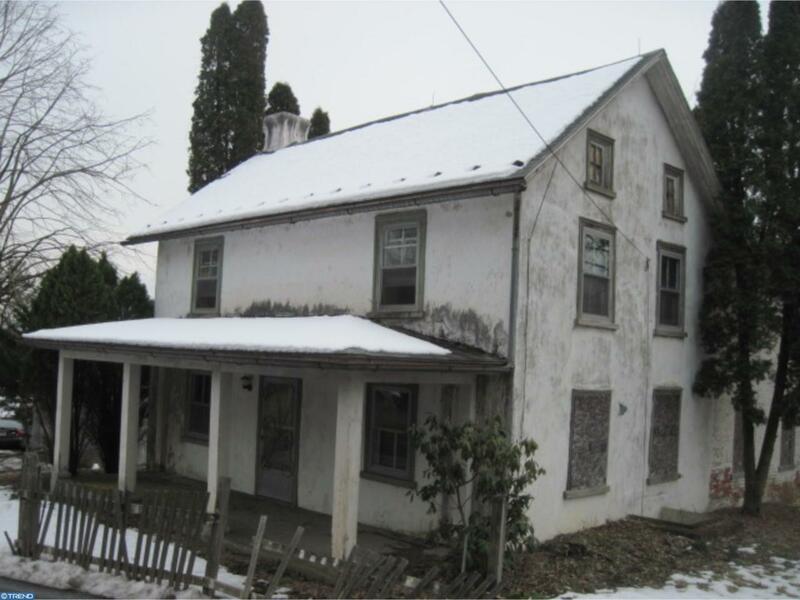 Picturesque Milford Township masonry farmhouse. Great location with over four acres of land (as per survey). House needs total restoration and renovations. No functioning water, heat or septic. Estate sale and property is being sold as-is with seller making no repairs or credits. Cash or renovation loans only. Please do not enter property without confirmed appointment. Property under 24 hour surveillance. Sale does not include land and barn located across the street. Taxes will be reassessed after transfer. House does not have any bathroom... MLS is inaccurately showing one full bathroom. Listing courtesy of Narrow Gate Real Estate Llc.